Chinese construction machinery industry will provide the excellent service for global market! 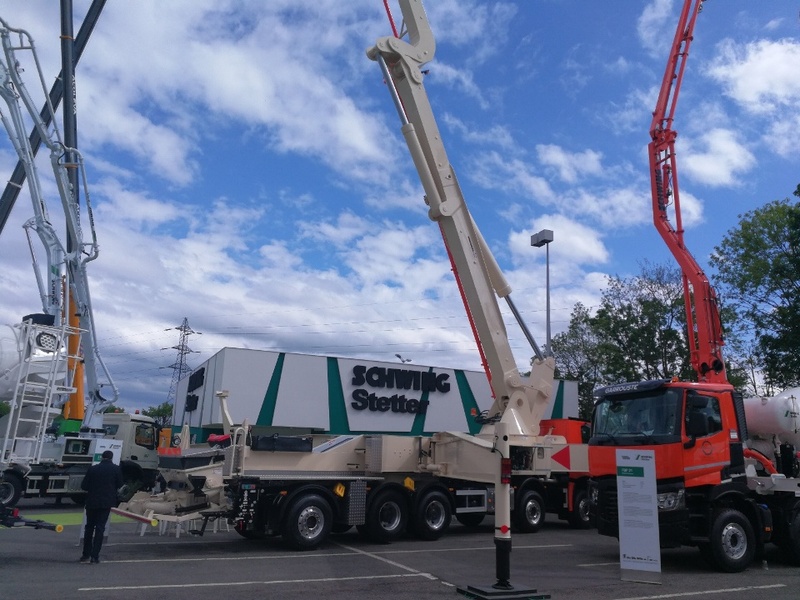 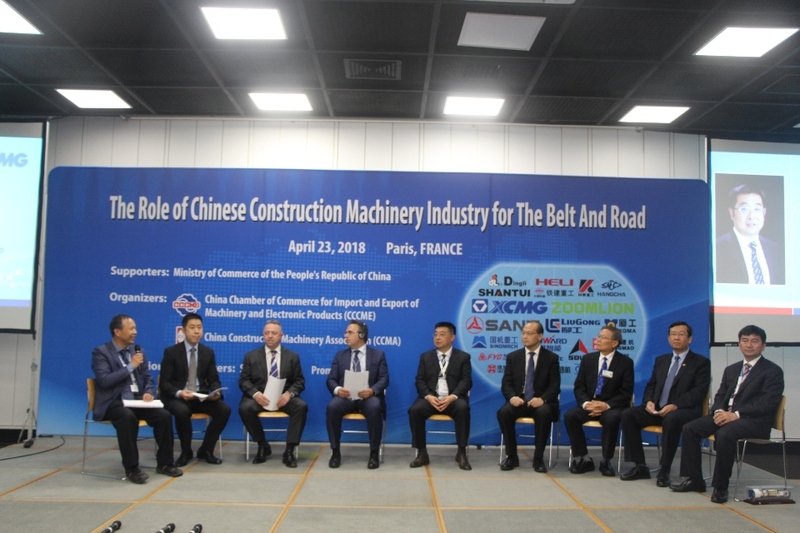 On April 23rd 2018, the first day of INTERMAT, the press conference of Globalizing Chinese construction machinery was held in Paris-Nord Villepinte with great success! 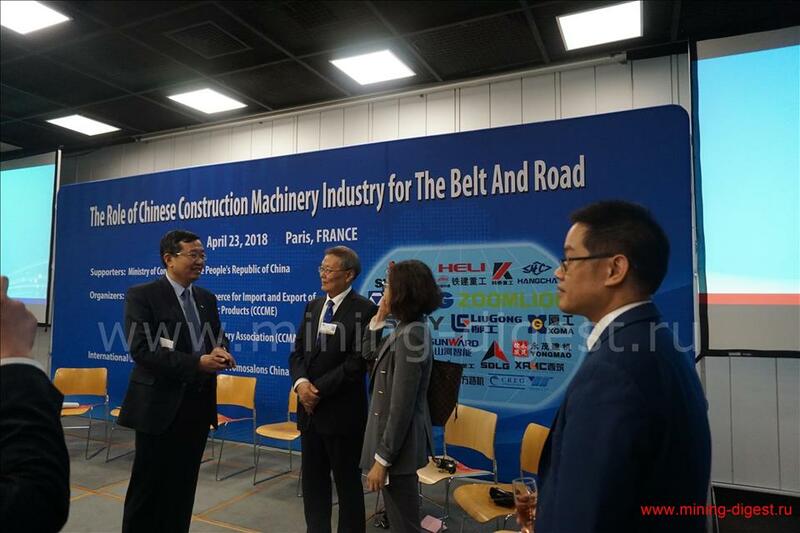 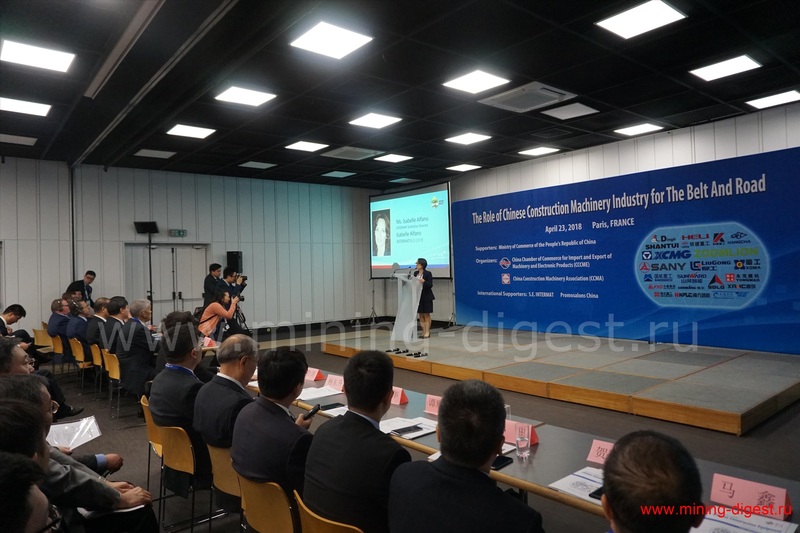 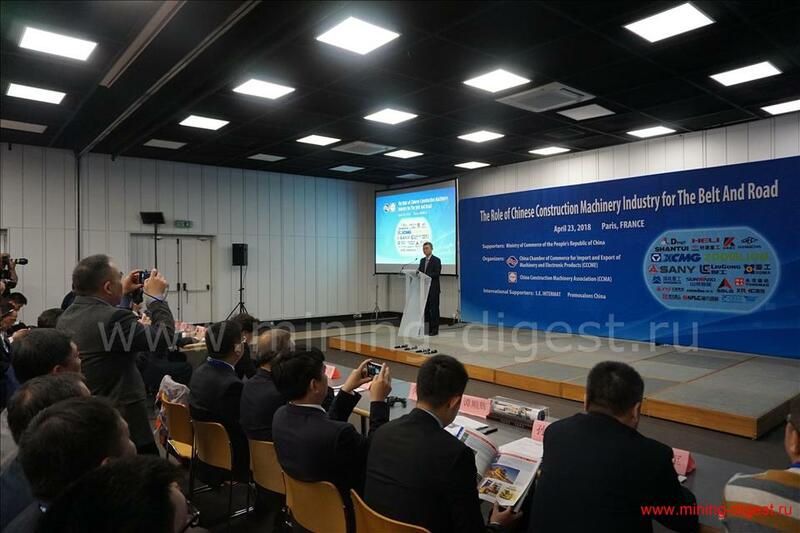 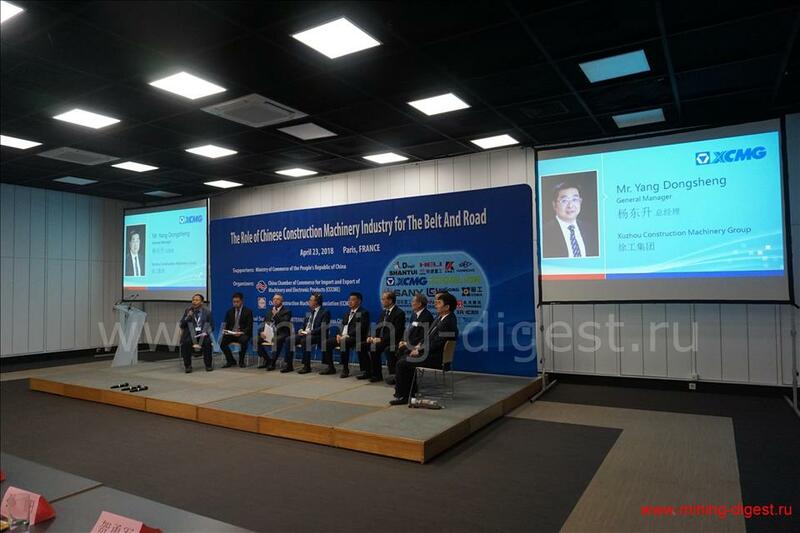 The grand event was sponsored by the Ministry of Commerce and Chinese Embassy in France and organized by China Chamber of Commerce for Import and Export of Machinery and Electronic Products (hereinafter CCCME) and China Construction Machinery Association (hereinafter CCMA). 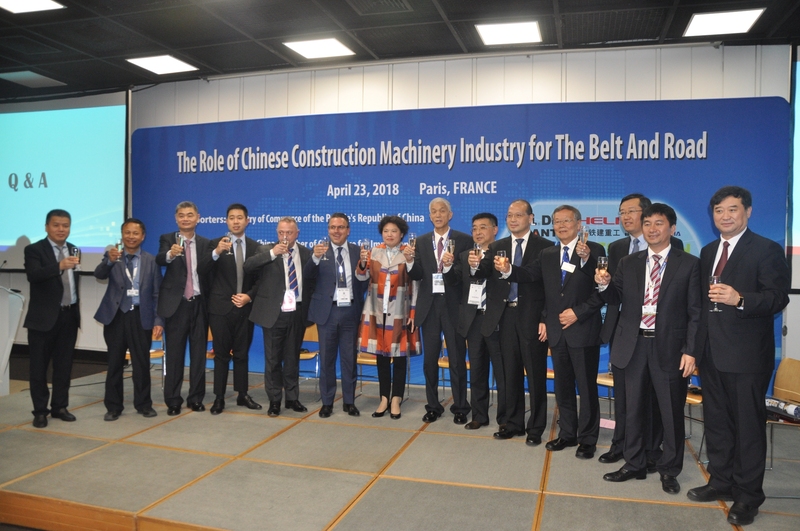 More than 200 Experts from government and construction machinery industry attended the press conference, including Minister Counselor of The Chinese Embassy in France (Ms . Gao Yuanyuan), president of CCMA (Mr. Qijun), Vice president of CCMA (Mr. Suzimeng), INTERMAT Exhibition Director (Ms. Isabelle Alfano), General Secretary of SEIMAT (Mr. Pascal PETITJEAN), Senior Vice President of AEM (Mr. Albert Cervero), Asian Executive General Manager of AEM(Mr. Kaien Li, General Manager of Xuzhou Construction Machinery Group (Mr. Dongsheng Yang), Chairman of China SINOMACH Heavy Industry Corporation (Mr. Peiguo Wu), Chairman of Sunward Intelligent Equipment Group (Mr. Qinghua He), Chairman of China Railway Engineering Equipment Group Co., Ltd. (Mr. Shunhui Tan), General Manager of Shantui Construction Machinery Co., Ltd. (Mr. Lulin An), Board Member of China Railway Construction Heavy Industry Co., Ltd. (Mr. Yongjun He), CEO of ZOOMLION (David Cipolla), Chairman of LiuGong Europe & LiuGong Dressta Machinery (Mr. Howard Dale), General Manager of Yongmao Holdings Co., Ltd.(Mr. Tian Sun), Vice president of WEICHAI Power Co., ltd. (Mr. Shaohua Li), deputy General manager of Changsha Economic and Technical Development Group Co., Ltd (Mr. Xin Ma)President of Off Highway Driveline Technologies and Global Aftermarket Business at Dana Holding Corporation (Aziz Aghili), General Manager of YANMAR ENGINE (SHANGHAI)CO.,LTD (Mr. Jun QI), General Sales Manager of Kohler Engine. 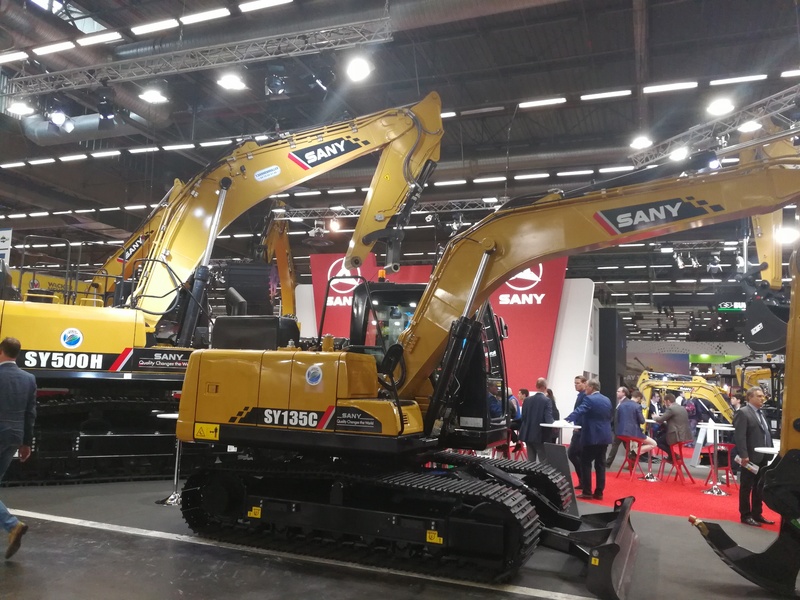 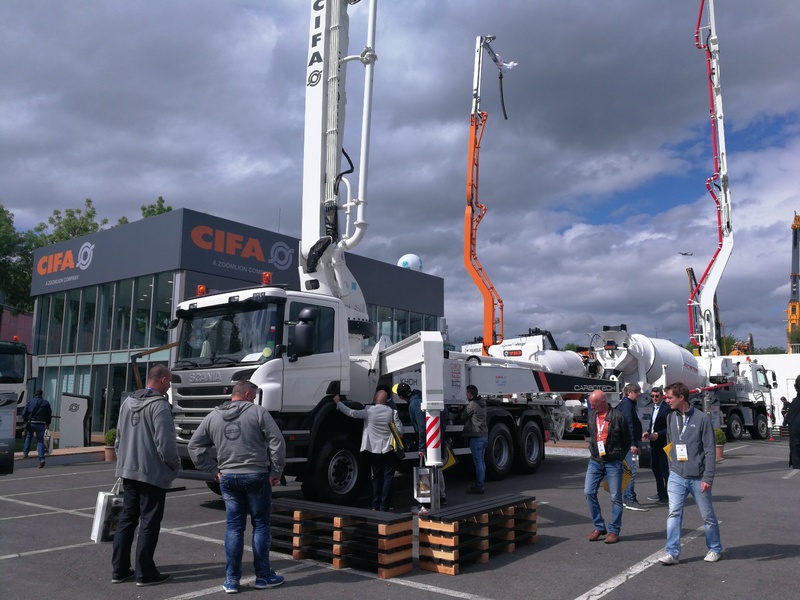 The activity showed to the world not only the Chinese construction machinery industry development level but also top Chinese construction machinery enterprises and brands. 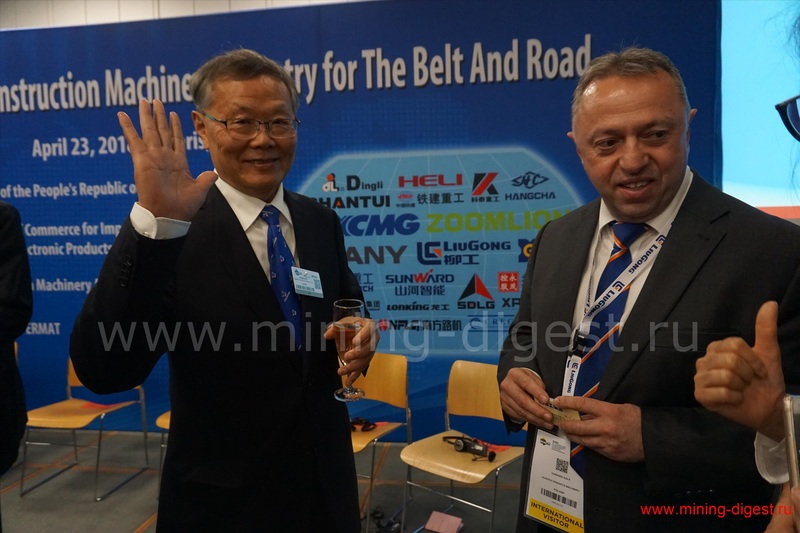 Chinese construction machinery industry will provide the excellent service for global market. 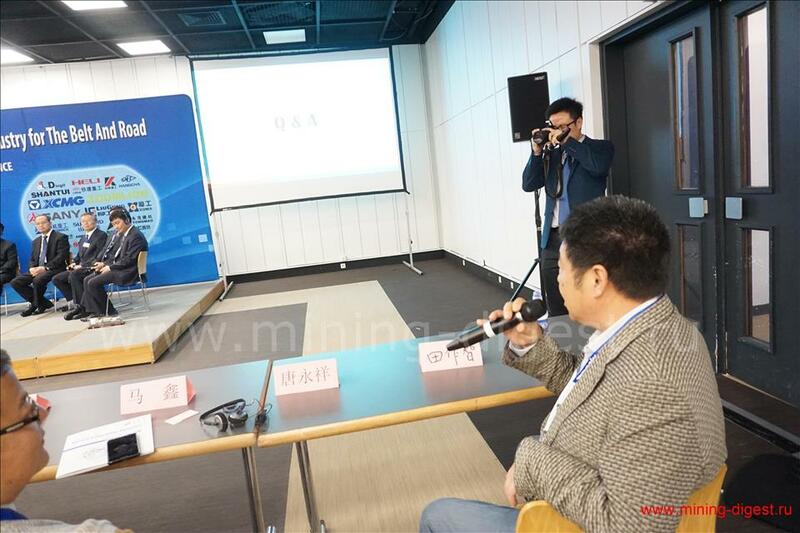 Many world trade journalists attended and reported about the press conference. 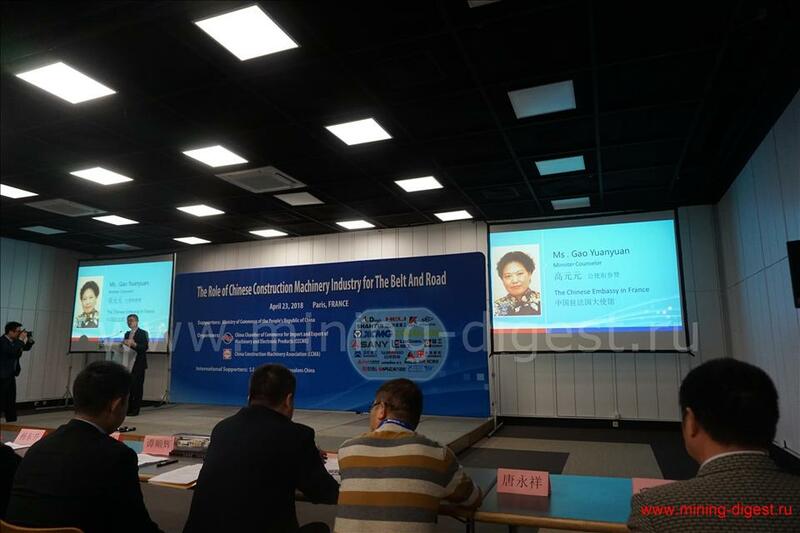 They are from Chinese most important medias including People’s Daily, CCTV, China National Radio, China Daily Economic Information Daily and Chinese industrial media including Construction Machinery Technology and Management (hereinafter CMTM), Chinese Road Machinery Internet, Chinese Construction Machinery Brand internet and more than 40 international Medias from America, UK, France, Italy, Span, Russia, India, Africa, Middle East, South America including KHL, OEM Off highways, Route one publishing company, Cranes Today, Imprese Edili, Macchine Edili, Russian Mining and Construction Digest, NBM Media, LECTURA, Koneviesti, Edizioni PEI, Forum Chantiers, SCI Media, Baublatt, Randall Reilly, Chantier De France. 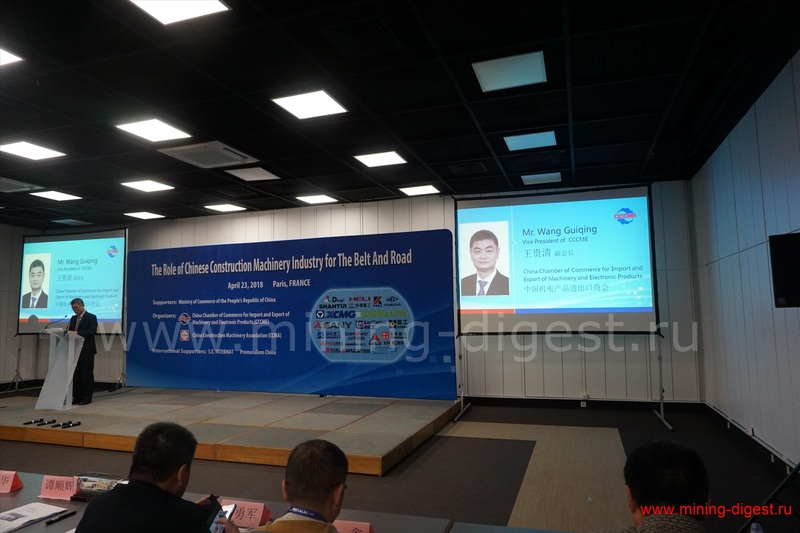 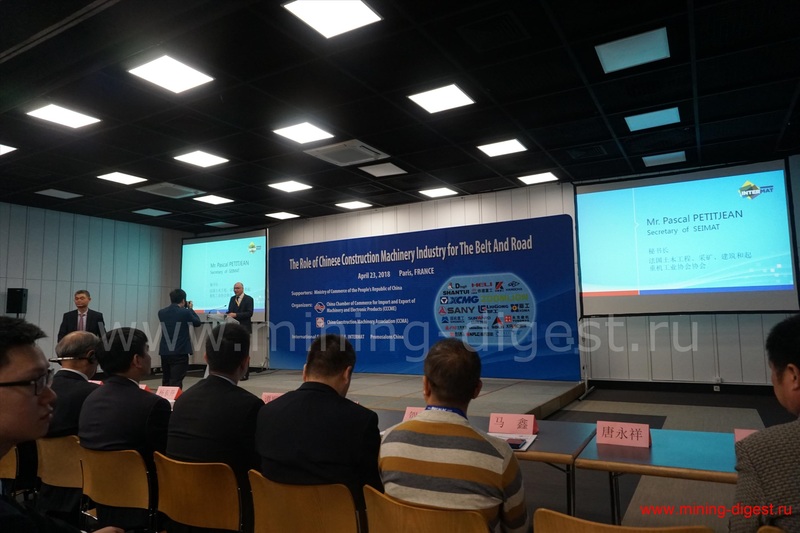 In addition to the press conference series of activities have been carried out to promote the Chinese Construction machinery Brand, including the publications of “Chinese Construction Equipment Report 2018”, Chinese Pavilion exhibiting in INTERMAT 2018 introduced the sophisticated R & D system, intelligent manufacturing equipment, excellent performance and high quality of products and perfect after-sale service system and many other offers. The press conference was moderated by the vice president of CCCME. 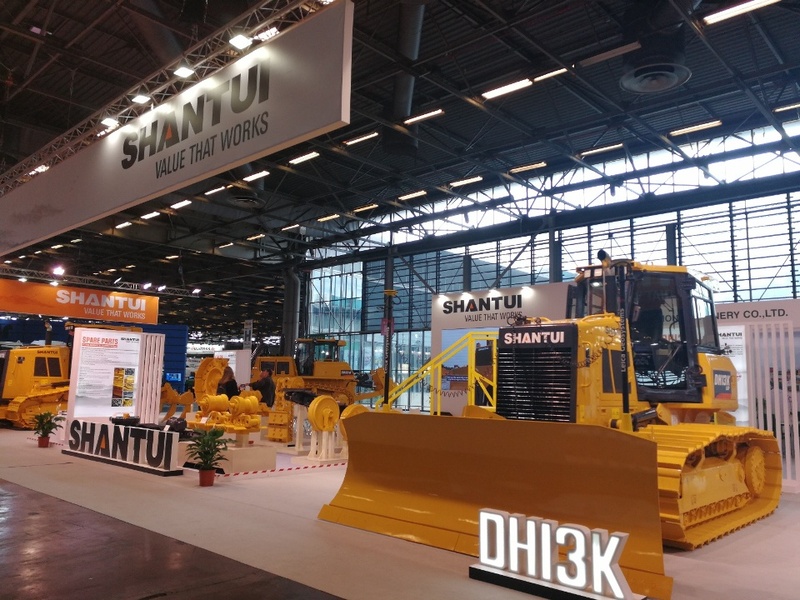 The activity showed to the world not only the Chinese construction machinery industry development level but also top Chinese construction machinery enterprises and brands. 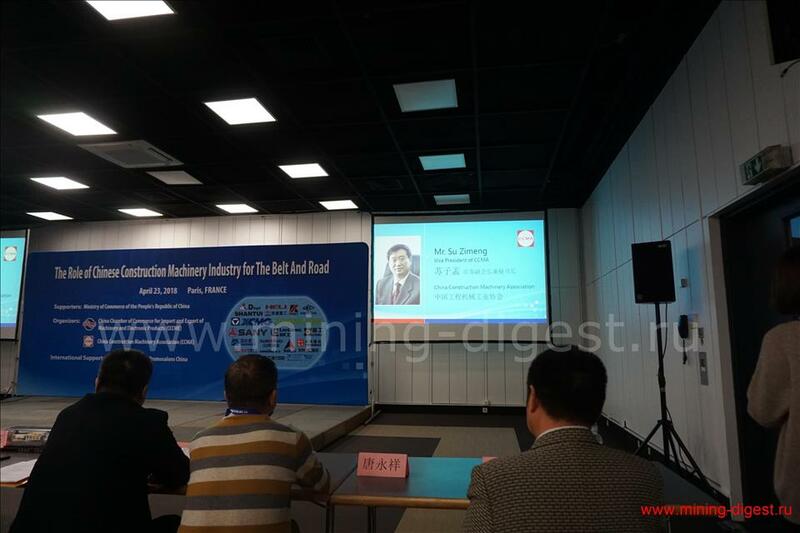 Chinese construction machinery industry will provide the excellent service for global market. Foto - by organizer and By Elena Zarovnaia (Russian mining and construction digest).